The “Ready to Launch” (RTL) workshop prepares individuals for any career field. Additionally, we are assisting our clients to attain the technology skills that can be transferred or used in any industry. Ready to Launch Workshops – The seven-session workshop benefits entry-level through management-level participants. They participate in intensive team-building activities, self-evaluation, and future career planning. We use tools such as personality assessments, mock interviews, and resume building to help participants get to the next level. Technology Training – We currently offer Web Design and Computer/Appliance Repair classes. Earn income and coaching via apprenticeship - We help people explore both traditional sources of income and nontraditional sources of income such as freelancing or self-employment. We strive to help clients reach the Certification and/or Employment stage - At this stage they are generating monthly income and working towards professional development through certification and on-going coaching. Barriers to Employment & Techniques to overcome them. Interview techniques: As part of the communication skills segment, participants work on eye contact, posture, body language, a firm handshake, and interview skills. The most effective job readiness training courses use video cameras to record participants in mock interviews. Effective resume: Regardless of the lack of prior work experience, a job seeker should understand the importance of a properly prepared resume and how to produce one. Even a resume listing basic biographical data about the applicant sends a positive message to the interviewer that the applicant is highly motivated to obtain a job and understands how the process works. Dress for success: Professional dress can mean the difference between getting a job or not. 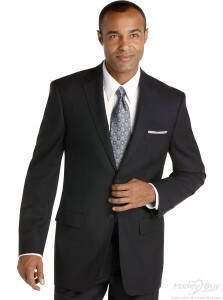 Appropriate attire for a job interview is often different than what is appropriate to wear once a person is hired. We can connect members with programs that provide proper interview attire for no-cost or low-costs. Come in for more info.